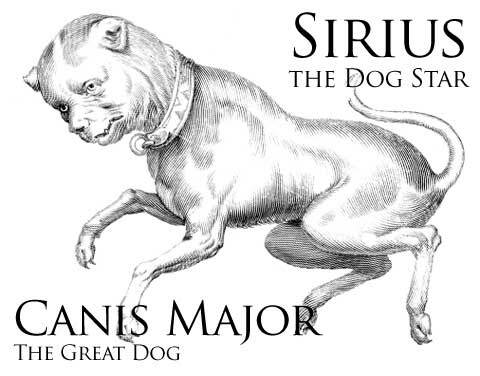 Due to the fact that a garbled account of myself, Sirius and the connection with Freemasonry has appeared in a recent book and contains some inaccuracies, I thought it best to put a correct account on record, lest any false impressions be too widely circulated. I have a very friendly acquaintance with Christopher Knight and Robert Lomas, whose second book The Second Messiah (Century, London, 1997) contains nearly a page about me (p. 216). Unfortunately, Chris and Bob did not inform me that they intended to publish anything about me and did not show it to me beforehand. Because they remembered a conversation with me imperfectly, the account contains several inaccuracies. For instance, they believe that only if I became a 33rd Degree Mason myself could I have held the further conversations about Sirius with the man who was my grandfather's Masonic protoge, and who became Lieutenant Grand Commander (second highest ranking, immediately under Supreme Grand Commander) of the Supreme Council of Freemasonry in Washington (which is also the Mother Supreme Council of the World). This is inaccurate; he only wanted me to become 3rd Degree to commence the conversations, for only then does one "become a Mason"; going through the much higher degrees would, he said, be accelerated, but was not necessary to begin holding meaningful dialogue. They also stated that I am a direct descendant of George Washington. As much as I admire old George, I have never claimed to be his descendant! My great-great-great grandfather John Leonard was at Washington's side for many years, and that is the person I mentioned to them. He was originally, as a very young man, a mounted dragoon under Major Bartholomaeus Van Heer in 1776, along with his three brothers. The Leonard Brothers were exceptionally tall and phenomenally strong. They were among the handful of people fighting on the side of Washington who knew anything about being soldiers. They had one other advantage: they had grown up and had early military training in Hesse and were personally acquainted with some of the Hessian officers now fighting as mercenaries for the British, so that they could advise Washington on the personalities and tactics of his worst adversaries. Since the Sirius Mystery is concerned with teeth and with Greek heroes, I cannot refrain from mentioning a peculiarity of John Leonard which he shared with the mythological figure of Hercules. Hercules was reputed to have had, and John Leonard certainly had, a third set of teeth. Growing a third set of teeth in ancient times was meant to be a sign of a supernatural hero. As Edward Samson the dental historian has writen "... it is probably the tales of Hercules, half-god, half-man, which laid the foundation of the idea that men of more than usual strength would grow more than usual two sets of teeth." John Leonard was, coincidentally, abnormally large and physically srong, according to the information about him which survived withing the family. So perhaps there is a very rare genetic syndrome - whereby a man of abnormal size and strength with a third set of teeth occurs in the population; this could be part of the rational background to the lore concerning Hercules and Gilgamesh ("The hero, his teeth are the teeth of a dragon" as we have seen on p. 176 from a Sumerian account). My forebear was, according to the family account, very depressed when his teeth started falling out when he was in late middle age. But everyone was amazed when they were replaced by a completely new set! Dentists of whom I have enquired specualte that this happens to approximately one person out of every hundred million or so, being one of the rarest phenomena in the lore of human anatomy. In fact it seems to be much rarer than that, probably by a factor of ten or more. The irony regarding John Leonard is complete when we recall that George Washington's notoriously square jaw was not anatomically natural either but is known to have been the result of wearing a remarkable complete set of wooden false teeth - which still survive, apparently. But so much for teeth and heroic figures! I am certain that the Leonard Brothers must have taken part in Masonic Lodge meetings with George Washington, if only due to the fact that by virtue of their jobs they could not leave his side for years on end. Whether they were Masons before they came to America is something we will never know. However, my forebear's male descendents for two generations were, I believe, all senior Masons and Masters of Lodges in Pennsylvania and Ohio, where he settled after Washington's inauguration. Masonic comradeship appears to have been involved also in the close personal friendship between my forebear's (John Leonard's) grandson, George Washington Leonard, and Jefferson Davis, the President of the Confederate States of America, who was also a distant cousin of ours my marriage. Meanwhile, by a bizarre coincidence, a discontented Jew named Adam Mond and his equally discontented Christian wife Catherine Emmert left Kassel in Hesse for America in the 1830's to escape religious bigotry, where their son ended up in Ohio married to John Leonard's granddaughter. They were my great-grandparents. Their families had lived in the same German city, presumably unknown to one another, and had to travel to Ohio on the other side of the world to meet and marry. The Monds are well known in Britain, as Adam Mond's nephew settled in England and with his son Alfred (later Lord Melchettt) founded the company ICI (Imperial Chemical Industries). The Monds changed their name in America to Miller to avoid anti-Semitism, as they settled in the most German and most anti-Semitic city in the United States at that time, Cincinatti. Now, this great-grandfather was a 32nd Mason ( "Sublime Prince of the Royal Secret", to use the official title). (And this great-grandmother was not content merely to be a Mason's wife; she was a pioneer in female Freemasonry, and she founded a lodge of her own for women (in America female Masonry is called The Order of the Eastern Star). Meanwhile another family, the Temples, entered the scene, and they were all senior Masons as well, including my great-grandfather and his three brothers. All of my great-great uncles and great-uncles of all these families were Masters of their lodges, several of them were 32nd Degree Masons, my Grandmother Temple was also Matron of her own (Eastern Star) Lodge, and for good measure my mother was a member of Eastern Star although not very active. Another great-uncle, Charles Kitts, was a 32nd Degree Mason, and my great-aunt Sallie Miller Kitts was also Matron of her lodge. I am also descended from the Kyle family (including a Colonel under George Washington), and they were all senior Masons as well. Rarely has anyone been born into such a welter of family Freemasonry. I believe that amongst my immediate relations, there must have been at least a dozen 32 Degree Masons, and at least thirty Masters and Matrons of lodges. And it is certainly true to say, as Knight and Lomas did, that my family have been prominent Masons for more than 200 years. In my dinner speech after my own inititation to the third degree I pointed out that the members of my family who had been Masons would, if they could all be called back to life again, exceed in number the large body of men present at the dinner. But to return more particularly to the story told by Knight and Lomas and how it relates to The Sirius Mystery. The most important Mason in my family from my point of view was my grandfather, who was also called Robert Temple. He was a 32nd Degree Mason and so highly respected in Masonry that he was asked to become a 33rd Degree Mason, which is the highest degree possible (called Grand Inspector-General). This involves administration of the entire Movement in America as well as most of the world from the base called The Supreme Council and Mother Supreme Council of the World, at 1733 Sixteenth Street, NW, Washington, DC. However, he had to decline this invitation because it takes up so much time and in those days was also extremely expensive, and he had lost his money in the Great Depression. But he sponsored into Freemasonry a young man whom he liked very much called Ted Webber. And Ted Webber went on to become a very active and important 33rd Degree Mason, and a close friend and colleague of Sovereign Grand Commander Henry Clausen, as well as of those other prominent 33rd Degree Masons, President Gerald Ford and American Astronaut Colonel "Buzz" Aldrin, who carried a Scottish Rite flag to the Moon, emphasizing the interest the highest level of Freemasonry takes in worlds beyond our own. So it was Charles E. ("Ted") Webber, not an elderly relative, who approached me about The Sirius Mystery. Because I had moved to England, I did not see Ted as an adult until I made a visit to Virginia when I was in my thirties. Apart from my mother, all of my Masonic relatives were dead by then or were cousins whom I never saw. Ted knew that I had no obvious route into Masonry and did was Masons are not supposed to do, actually recruited me. Masons are only supposed to join if they seek to do so, never be persuaded. Although he felt "fraternal loyalty" (to use Masonic terms) towards me, his reason was not sentimental but practical. 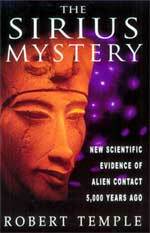 He said quietly to me: "We are very interested in your book The Sirius Mystery. We realize you have written this without any knowledge of the traditions of Masonry, and you may not be aware of this, but you have made some discoveries which relate to the most central Masonic traditions at a high level, including some things that none of us ever knew. We would very much like to get you to exchange some ideas and research with some of the people in our headquarters. But unfortunately because you are not a Mason we cannot discuss any of these matters with you, as it is forbidden." I asked him what sort of connection there was and he did mention specifically that it was my work on ancient Egypt, on Isis and Osirus, and the ancient traditions of the star Sirius. Ted asked me if I would like to become a Mason, and if so would arrange it immediately. "After you pass through what we call the three degrees, which is the basic initiation, you become an official Mason, and then we will be able to talk with you about these things, which we cannot do until then." So, out of curiosity and a vague family sentimentality, and because I liked Ted so much, I agreed reluctantly to become a Mason, despite the fact that it was against my nature to want to be part of a secret society. I would never have sought it on my own initiative. Ted wrote to Commander M.B.S. Higham, RN, Grand Secretary of the Grand Lodge of England in London on 23 August 1984, saying "I have known the Temple family for more than fifty years. They are very loyal American citizens. Robert has been living in England for a number of years and has published a number of books. I will appreciate it very much if you will have some of your brethren get in touch with him..." He requested that I be admitted immediately as a candidate for initiation at the lodge nearest to me, without any sponsor. I believe this was practically unprecedented, and well might one imagine the astonishment of the local lodge who contacted me and said they had had a request for my admission from Brother Higham - a man whose name is known from Masonic circulars but no one ever seems to meet him. It takes some time to go through the three separate initiation ceremonies called the three degrees, as several months have to elapse between each one. It was a year and a half or two years before I completed this. At the end, I was given a certificate pronouncing me a "Master Mason", which sounds a very grand term but merely means you have gone through the basic initiations. In Masonic correspondance, I can now sign myself "Rober Temple, 3rd Degree", by way of identifying my status, if corresponding with, say, a really important Masons or making clear I am not still just a candidate. I discovered that the vast majority of Masons know nothing whatever of the higher degrees of Masonry, and are never invited to attain to them. Some vaguely know that what are called "Mark Masons" - a seperate order within the movement where, I was told, a great deal of beer-drinking takes place - is also a fourth degree. But few Masons seem to be intellectuals pursuing ancient mysteries - most of them seem content with jolly dinners, collections for charity, and fraternizing with one another in a hearty manner. By the time I had become eligible for conversations on "Sirius" matters, Ted was pretty aged and I never returned to Virginia. So no further discussions on these issues ever happened. Ted died, a pillar of his community and of American and World Scottish Rite Freemasonry, noted for his rectitude and kindliness. And that was that. I haven't been to any further lodge meetings. Knight and Lomas have done a good job of demonstrating that many people including myself had long assumed, that Freemasonry is directly descended from, and is a continuation of, the Knights Templar. Although the Knights Templar were suppressed in England and France, they continued in Scotland (hence "the Scottish Rite"; manuscript records of sixteenth-century Scottish lodge meetings survive) and by the seventeenth-century spread back into England again. English Freemasonry likes to pretend that the Masonic Movement was founded in 1717, but that can be proved to be complete nonsense. "Each star in the heavens is a solar system with a light-producing sun and revolving planets. Our solar system in which our Earth exists is one of them. There are millions of stars but, among them all, only the star Sirius has a direct link with the Earth and with humanity. Much was known to the Ancients about Sirius, now largely lost but recoverable... Masonic tradition has it that the first three degrees of our Blue lodge [I haven't the faintest idea what the Blue Lodge is] are equivalent to the first degree of Freemasonry on the star Sirius. Pondering upon the implications of this statement is fascinating because it lifts the whole concept of Masonry as a spiritual quest on to a higher plane than ever known before. It gives meaning and depth to the question: Why Masonry? It will be no detriment to Masonry if we use the "as if" technique of philosophy which does not hesitate to deal with that which is yet unproven. More Masons are asking more fundamental questions about Masonry these days... Among such questions is: Where did Masonry originate? 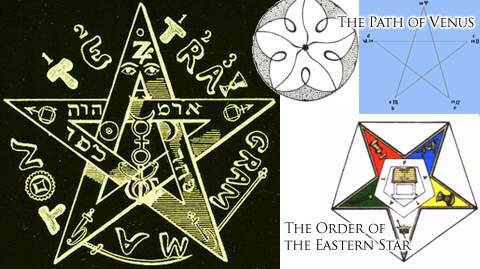 Because the star Sirius is older than the Earth Masonry could have existed there long before our Earth Masonry began. By implication there is human life on Sirius... Our solar system receives energy from three main sources. There are three great waves of energy which sweep cyclically through our solar system, on of which comes from Sirius. "...in the secret of the sun Sirius are hidden the facts of our cosmic evolution, and incidentally, therefore, of our solar system." This might almost serve as a motto for my own book! And yet these insights reached Miss Bailey by means of some strange "automatic writing" which she apparently produced, like someone in trance. And I only found out about it after I worked my own way along what might be called by the Hindus "the path of knowledge"; Miss Bailey seems to have taken some kind of short-cut. In the light of this information, perhaps the interest shown by one of the leaders of worldwide Masonry in my research can readily be understood. Whether it is true is not the point, the point is that it is claimed to be true; thus it means that mystical Masons would naturally take an interest in my findings. It is ironical that all of this was in print while I was writing my book and I knew nothing whatever about it. I still don't know that much about it, but I thought I at least ought to mention it. Ed Note: The Blazing Star / the Morning Star/ The Evening Star also refer to Venus. The symbolism and the mythology seems to collide in many places. Further investigation is needed. See below for a few interesting links related to Venus.